This page contains information about the Alleanza Radicale - NCD. The Radical Alliance (Istalian: Alleanza Radicale, Majatran: والحرية والتقدم, transl. al-tahaluf al-rradikaliu) is an Istalian political parties founded in 4348 as heir of the historical party Liberty and Progress which, in turn, has been the evolution of the original Istalian Social Liberal Party. Radical Alliance advocates social liberal policies, promoting a solid welfare into a regulated free market, pushing for the cooperation between State and privates as well as between social categories, while on the social and civil issues it's strongly libertarian and secularist, aimed to free the istalian citizens from any moral and religious influence and to promote their full development as human being and of their capabilities. The party has also an important internal wing supporting regionalism and devolution policies in favor of larger powers for the local authorities. Currently the party is member of the center-left coalition Another Istalia, confirming its membership after the dissolution of Liberty and Progress, into the coalition since 4332. Libertà e Progresso (in Luthorian: Freedom and Progress), was the reformed Partito Social Liberale Istaliano (Istalian Social Liberal Party), founded by Alessandro Senna in 4030 and until 4051 known as Partito Socioliberale Istaliano (Istalian Socioliberal Party). PSI was created to propose a liberal and progressive alternative to the far leftist PDS, where he was a prominent figure of the most progressive group, fell under the iron fist of Antonio Battisti and dominated by his authoritarian, statalist and nationalist policy and responsable of the Istalian Civil War, that saw Senna as the leader of the resistence against the dictature of Battisti. The PSLI proposed a social liberal policy, with high individual liberties and a strong socialdemocratic welfare, a vision more internationalist of Foreign Policy, more open to international cooperation, more sensitive to environmental issues. It wanted pursues a very progressive approach in the field of civil rights, an enlargement of the Politic Rights of the Istalian Citizens and ensure an extensive welfare policy. In the second half of 42nd century, during the Leadership of Michele Scialoja, the PSLI, with Verdi Istaliani and PSDI, founded the political and electoral coalition know as "Alleanza dei Progressisti per l'Istalia" (Alliance of Progressives for Istalia), so to create a common platform for the progressive values to contrast the neo-liberatarian policies of the Right incarned since the end of the XXXI century by the "Union of Liberals". After having led the Istalian Government for over 30 years, after the dissolution of the A.P.I. during the terrorist crisis of the last years of 42nd century, the party was reformed by the internal whing known as Libertarian Collective became Libertà e Progresso. Libertà e Progresso maintained the core value about civil liberties and human rights, but it abandoned the socialdemocratic's welfare policy to adopt a very liberal position. Libertà e Progresso proposed, in fact, a private sytem for healthcare, pension, social security and public utilities, but with the state which intervenes to cover the cost for the citizens with tax relief and subsidies, assuring full coverage for the low incomes. - Assure the respect of Democracy and of Plural Society. - Assure to all citizens the respect and protection of its Political, Civil and Social Rights. - Promote a Progressive policy to the Society. - Defend the Secular State and treat all its citizens equally regardless of religion. - Persue the Social Justice and the redistribution of incomes through a Progressive Taxation and the coverage of the cost of citizens for their needs about helathcare and welfare. - Support a Regulated Free-Market system to prevent the failures of unbridled capitalism and ensure equal opportunity and social justice to every citizen and enterprise of the Nation. - Promote a cooperation public-private with the objective to assure a constant simulus to the economy. - Promote a Strong International Role for Istalia and promote friendly relationship with the other Nations. - Promotion of the Pan-Majatranism with a strong cooperation with the other Majatran's Nation. - Promotion of a Sustainable Development while respecting the Environment. Founder and historical leader, Senna comes from the more liberal current of the Istalian Revolution Party, from which he came off when the battistiane policies markedly statalist and nationalist, have become the main ideology of the party. After steady growth of consent for ISLP, Senna became several times Presidente del Consiglio dei Ministri, proposing a policy aimed at the defense of civil liberties led by a committed secular politics. He sure entered in Istalian history as the main opponent of the fortunately brief dictatorship of Battisti, the leader of the resistance during the Civil War; it was seen entering Romula when it was still in progress the final battle of the Civil War. After the Civil War Senna leaded a party who suffered the lost of many members related with the dictature of Battisti and who suffered then the retourn of the party Futuro & Libertà who attracted most of the centrist liberal electors of ISLP. Senna became the leader of the opposition in this period. After the presidential reforms, Senna leaded the opposition in the bipartisan chamber of 4059 until the victory of the 4063 elections. Senna was re-elected Presidente della Repubblica in the 4067 to reseign in the January 4070 after the Parliamentary Crisis of 4069. He has officially retired from politics a few weeks after his resignation as President of the Republic. Historical whip of the ISLP party group in the Chamber of Deputies, Mrs Antani was also the most close collaborator of the Segretary and then President Senna. Antani came from the Istalian Revolution Party like Senna and followed him in his adventure. Key element within the party, Antani became the voice of the party when Senna began to occupy institutional roles and began to coordinate the work of the party in the Chamber of Deputies during its role as government party. Stand in defense of the legitimacy of the parliament and the government during the parliamentary crisis of 4069, already designed by Senna, it was finally acclaimed by the rest of the party as a new national secretary. After the dimission of Senna and his retirement from the politics Antani has fully embrace his heritage as Leader of the ISLP and in this position gained two consecutive presidential elections (4074 and 4078). Under the leadership of Antani the party has politically moved further to the left, supporting without problems the LDE policies, at the time more and more predominant respect to the Social Liberals. Historical collaborator of Alessandro Senna, Marcantonio Borgiese became the National Segretary in 4082 after the dimission of Eleonora Antani for Health Reasons. After two legislature without government under the two ephemeral Neloni's presidencies because the istalian political scene fragmentation, Borgiese fight for years to convince Istalia of the need of a Costitutional Reform to the establishment of the Parliamentary Government form. Gained two elections (4085 and 4088), the second with the support of almost all the political forces of Istalia, he reached the goal to make approve the parliamentary reform and then dimissioned in 4088 satisfy for the change declaring to have no intention to a third candidature. Famous International Relationship's professor in the Romula's Bergson University, entered in the ISLP after the grave insistence of Alessandro Senna. He has served as Minister of Foreign Affairs in many ISLP and ISLP-LED governments and after the dimission to the presidency of Mr Borgiese became the new National Secretary and candidate of the ISLP after the parliamentary reform, chosen for its authority and international experience. After years, more and more close to Eleonora Antani was him to lead the alliance between the ISLP, LED and SEL but after the 4095 election the National Directorate of the party ousted him for the disappointing electoral results and for his excessive political subjection to the leftiest party. Son of a prominent businessman of Silicia, during his university time at the economic department of the Silicia High University, was attracted by the liberal position and fought the dirigist and authoritarian derive of the Battistian Leadership. He fought in the Civil War under Senna's command and then, after he graduated he entered in the ISLP and through the years has become the leader of the liberal wing of the Party in opposition of Eleonora Antani, leader of the leftist group. Under the Antani segretariat's years he became on of the most prominent member of the Party, but not reached to become whip in parliament, because the opposition of the then president Antani, very criticized by Al-Mahmud for his subjection to the LDE and his leftist policies. Under the Borgiese's era he fully supported the parliamentary reform and slowly has overtaken Mrs Antani in influence and visibility inside the party. Strong opponent of the segretary Paolelli, criticised for the same reasons that opposed Al-Mahmud to Antani, in 4095, after the disappointing government in coalition with SEL and LDE, has organized the "internal coup" against Paolelli to remove him from the segretariat and then was appointed as his successor to the segretary. Young protege of the historic party member Mattia Ranieti and member of the "Sennani" current, after having served as National Spokesman of the Istalian Students (as leader of the Alliance of Young Progressives), was elected to the Chamber in 4101 at 25 in the Bunogna electoral district. Strongly critical of the interventionist policies of the then Secretary Antani, is taken under the benevolent wing of Mattia Ranieti who, with Al-Mahmud, began to form the hard liberal core of the party to counter the interventionist policy of Antani as well as the political submission of Paolelli in front the leftist parties. During the leadership of Al-Mahmud, enthusiastic guides the Internal Committee for the economic policies of the party and we can say that it's thanks to him if the party begins to apply the principles of the "slogans" only today presented during the Congress and that sums the guidelines of the ISLP. It's the first leader of the ISLP that does not belong to the generation of Senna. Accorsi was punished by the PSLI voters because its role as leader of two coalition, the first with PPI, PSLI DI, Patriot and PSDI and the second the Tetraparty Government (PPI, Patriot, PSLI, DI), occur during hard time and the threat of the PdCI, great coalitions that have dissatisfied many from all sides. 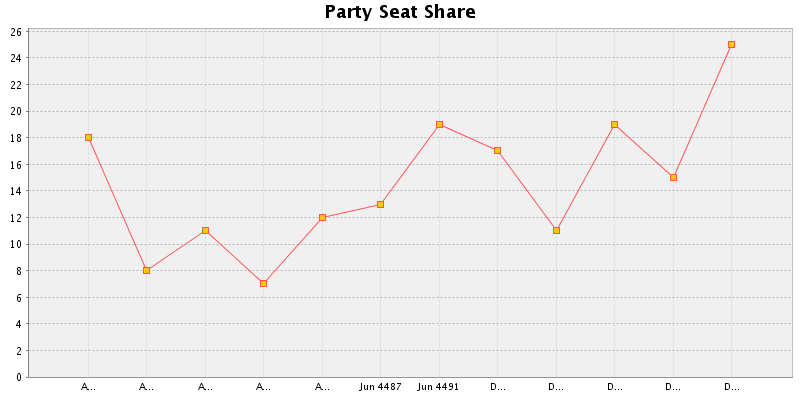 After the election 4126 and the fall of the electoral support for the party decide to resign. Better known as renowned Political Philosopher, frequent guest of television and radio programs and author of two well-known books "Ethics or Freedom?" and "At the time of State", Scialoja was Professor of Political Doctrines at the Faculty of Political Science of the Enrico Bergson University of Romula and theorist of Political Systems. He was PSLI parliament member for two legislatures but even before he joined the Ethical and Ideological Reflection Committee of the Party, also giving advice on technical issues, not least the semi-presidential proposal of 4133 to which he worked together with experts of the Populars in the formulation of the text of the constitutional reform. It became virtually the only stable voice of PSLI, after four years of discussions and clashes within the party's National Congress upset by the arrest of the ex whip and cadidate to the National Secretary, Karim Al Nasser. He bring to himself support from more and more congress' members, attracted by the role of great expert of istalian politics and external to the historical "bureaucrats" of the party. Scialoja seems to be more open to a strong social intervention of the State in economy, professing strong welfare and case by case accepting also state economic activity, but untile the election of 4138 the strong liberal opposition inside the party limited its power and its more leftist ideologies. But the efforts of Scialoja to unit the more libertarians and the more socialdemocratics paid his work: in 4142 the PSLI gained the relative majority of the Parliament and Scialoja became HoG leading the Union of Center-left together the PNI. After two legislatures dominated by the Union of Liberals, Scialoja accept the proposal of the newly Verdi Istaliani to create a coalition for the Center-Left, the Alleanza dei Progressisti per l'Istalia, "Alliance of Progressists for Istalia" (API), which follow the brief experience of the "Union of Center-Left", founded by the Partito della Socialdemocrazia Istaliana in the first half of XXXXII century and as API's candidate in 4162 was elected President of the Republic with a majority in the Chamber, grant by the PNI, ready to support its own Government. As can be inferred from the name, he is the youngest son of Willem Verhoeven, who came from Saridan when he was just five years accompanying their parents, Isaac and Rielle Verhoeven, refugees escaped Saridanese regime arrived in Istalia in 4093. After having played in the youth progressive organizations, he graduated from the State University of Milona in International Law approached meanwhile to PSLI. Meanwhile in the neighborhood where he grew up, the so-called District Duntrekker District, on the outskirts of Milona, ​​former Lazzaretto local, where grew up in the last century the largest saridanese community in Istalia (over 1 million people in all the nation), Verhoeven became known as one of the leading activists for the integration of the community into the istalian society and because of this, after graduation, he was chosen to follow the Committee for saridanese relations of the istalian delegation to the World Congress. Then as candidate in the constituency of Padagna Center among the Social Liberals lists, is elected to the Chamber, thanks to the support of the large saridanese community, where it became part of the Commission for International Affairs and then move on to the Commission for Integration Policies, and later, become one of the closest collaborators of the Secretary Scialoja, his predecessor, he has dedicated the last years of Scialoja leadership to the Progressive Alliance helping to tighten the links between the member parties (it was an idea of Verhoeven the initiative of the API Committee on decentralization to harmonize policies of the Alliance with those definitely federalist of MFI). Under the leadership of Verhoeven PSLI has cooperated at best way with the allies of the A.P.I. and together them they reach to lead the nations almost without interruption since the second half of the 60's to the end of the Century. Verhoeven leaded several times the Government while in 4186 won the run to the Presidency against the PPI's leader Elide Ceglini supported by the A.P.I. coalition which for two consecutive elections gain an overwhelming majority with which they improves real social democratic policies, with high welfare levels, incomes redistributions and customers and environment protections. Under his secojd Presidency the Nation is attacked by a wantunian terrorist group and after fromed a National Unity Government with all the national parties led the Country through one of the most difficult moment of the Istalian Republic. Born in the small village of Roncisvalle, in the Mezzodiurno, she moved to Trieste with her family at the age of 14, following her father hired in the Leonardi shipyards. Just in Triesta she's noted by an agent of Milona High Fashion, known fashion agency, and at age 16 she starts her career in the world of fashion as a model, appearing over the years in magazines, advertising and fashion shows for different fashion houses, working a lot abroad but also finding time to graduate in economics. At 23, however, she is a victim of a media campaign against some of her naked shots and after a year away from the scenes, she shows that he has developed a strong political soul that leads her to approach PSLI. At the age of 26 she joined the party soon becoming a well-known face, and after two years in 4191 she was elected to the municipal council of Trieste, while in 4195 she won the race as mayor of the city forming then the "Trivendito Group" with Mirko Marcegaglia and Elio Bertinoti, Trivendito's President and Vinesia's mayor, with which adheres to the Libertarian Collective. Under her leadership arise the star of Filippo Marra, elected two time President of the Republic and then appointed as Prime Minister. Experienced ecomonist, Marra led the Nation during the great Global Financial Crisis unleashed in 4204 and thanks to its politics the Nation faced with good results the crisis and recovered also more strong and stable than before. Under her leadership in cooperation of Marra LP for almost 20 years was the larger party in Istalia and became a true "institutional party" in leading the nation with different coalitions. Right hand of the previous Secretary, Camilla Fiorenti, Nicola Gasbarro like her is an exponent of the liberatarian wing of the party and he is a major supporter inside the party of the free market and of the possibility of the capitalism. Gasbarro entered into the party in 4182 when as indipendent he gained the local election for the mayor in Vinesia. He was reelected for two term and then he was chosen as candidate of the Trivendito costituencies and elected to the parliament in 4199. In only two years he became one of the most active members of the libertarian wing where he met Camilla Fiorenti with which began a fruitful cooperation. When the latter became Secretary of the Party Gasbarro was chosen as Whip of the Party and in this role he became the leader of the liberal wing and supporter of the free market economy. After the depart of Fiorenti the Party appointed Gasbarro to continue the work generally satisfactory of Fiorenti, considering the electoral debacle of 4223 as a conseguence of the smear campaign of the socialist and of policies too complacent to some position of the opposition. Gasbarro was elected twice to the Presidency but in 4239, during the last year of the second term, he suffer a stroke that led him to an irreversible coma: as per his living will, the doctors proceeded with the euthanasia the 21July 4239. He comes from Calliari, where he joined the party's youth movements both at the high school and at the Calliari State University, where he graduated in law. After have try to enter into the State Bar, he entered officially in the party and was elected in 4227 to the Calliari Regional Assembly and then into the Chamber of the Deputies in 4231. He became an increasingly important personage into the libertarian wing of the Party, he became one of the spokeperson of the internal current starting his cooperation with the National Secreatary at the time, Gasbarro, his predecessor. During the National Congress of 4236 finally he was elected to the Leadership but with a narrow advantage: the other candidate, Lavinia Maggi, in fact was soon after appointed as Whip of the Party and Deputy Leader, one of the most important members of the National Directorate. Tajani confirmed the alliance with the other right-wing party to opposite the dirigist policies of the leftist coalition. Tajani established then the electoral coalition with CC and AI and together they gained the elections (Presidency to CC) but soon a terrible terrorist attack killed President Rachele Delfina and many parliamentarians of CC decreting its dissolution followed also by the dissolution of the PCI. Tajani so, in such an institutional crisis, supported early elections presenting himself as candidate of the center-right. 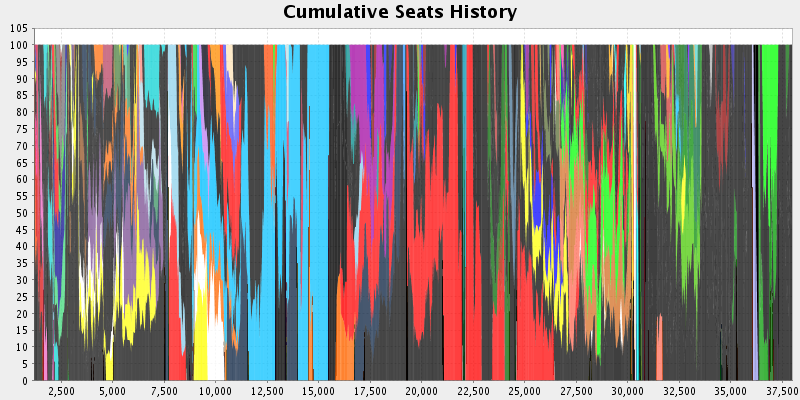 As espected Tajani was elected President and the coalition LP, AI, PMC (which supported him) gained the majority. However, during its Presidency (4241-4245) its foreign policy created some trubles for Istalia which suffer an lose of international support and a lot of critics. For this reason Lavinia Maggi in 4246 decided to call for a Congress to launch a vote of no-confiance for Tajani which however resigned before. Born in Angona in 4203 into a family owner of a local little industry, she studied to become a layer but already since the early years of university she approached the politics and despite she failed to be elected into the local elections of 4223, in 4227 she was elected to the Parliament into the LP list. Inside the LP she became even close to the minoritarian social-liberal wing and after having been re elected as parlamentarian in all the other elections, she emerged as leader of the social-liberal wing in the early '30 of 4200 and show herself to be a strong voice against the libertarian leadership of the party which, for Maggi, swifted to much on extreme capitalist positions. Under the Secretariat of Davide Tajani, with the growth of the social-liberal wing, she became the second most important exponent of the party, appointed to be the new Whip's party. Under the Presidency of Davide Tajani Lavinia Maggi was even more critic about the international policy of the President and finally, in 4245, for the elections, Maggi was chosen by the party to contest it as President candidate not reconfirming Tajani who, after a year, resigned as National Secretary of LP. Laviania Maggi replaced Tajani and as President of the Republic changed radically the foreign policy of Istalia, retake the path of a more diplomatic approach. She, together with the leader of Verdi!, Fatima el-Nouri, proposed Istalia to host a peace conference to solve the Badaran civil war and achieved to make accept by the beligerant parties a ceasefire and the sending of an istalian humanitarian mission. During the peace conference however, one of the party, the so called "Coalition", rose up in arms against the legitime government, carried out a terrorist attack in Romula against the conference killing the Badaran foreign ministry and wounding President Maggi and President of the Council el-Nouri. Recovered from the injuries, she continue to cover the role of President extremely active on the international stage where she opposed the nations supporting the Coalition, definitively declared a terrorist group. Under the Presidency of Gianluigi Rosso, Lavinia Maggi acted as HoG and together with the authoritative leadership also of el-Nouri of the Verdi!, the Government conducted its policy in defence of the legitime Government of Badara against the terrorism and the external influences. However, the elections of 4253 was a shock for LP, which lost more than 20% of the seats passing to be the second largest party to the last one. After such a defeat, Lavinia Maggi resigned and a new Congress of a party under shock was called. She continued to hold the position of President of the Council until the confiance for the next Government. Born in Turrino from an italian father and quanzarian mother, he grow up into a family of landowners. He was destined to take control of the family activities but during the years of the university he began to be interested by the politics. However, he took charge also of the economic activities of the family when his father was victim of a hearth attack, but continuing to make politics at local level. After a career which led him to be elected as Deputy among the ranks of LP, as moderate and pure Social Liberal inspired by the policies of the then President Marra, he known then Nicola Gasbarro during the last years of the Fiorenti's Secretarian and then entered into the National Directory since the first days of Nicola Gasbarro as new Party Leader, who took it under his protective harm making him one of the narrowest but also discreet collaborators. Many had called Astori as "the Shadow," pointing to him as Gasbarro's eyes and ears inside the party. Under the last years of the Gasbarro's Secretariat Astori, always with his usual discretion, became one of the most important members of the Directory and, after the death of Gasbarro, during the subsequent National Congress, before the clash beteween Al-Sahel, extreme liberatarian, and Silvano Rogi, social-liberal supported by the socialist and the radicals, was the Directory itself to push Astori as candidate of the compromise and also to "suggest" to Al-Sahel to retire its candidature and endorse Astori: the Directory didn't want risk that the left-wing of the party reached the Secretariat, a likely event given the fact that Al-Sahel was a supporter of the highly criticized international policy of Davide Tajani. Astori presented so himself as a pure Social Liberal who support Marra's economic policies as his model to be re-introduced again in Istalia but internationally he follow the Maggi's Detente doctrine to deal with the Global Stage. After have lead the party on the path of pure Social Liberalism, in 4270 he resign for health reasons. Born in Romula into a wealthy family, the father was an businessman while the mother a high society lawyer, Adriano Andreatta despite growing as a Romula's high society scion, since he was young showed a deep sensitivity, which pushed him to getting involved to support the less fortunate, cooperating especially with the charitable foundation of his family, specialized in assisting the homeless. The history Adriano heard by the homeless pushed him to go to Law school, intent to specialise in Work Law, concinced that many of the problems of the less fortunates derived by the problems and the abuses on the workplace and in the work world. Despite this sensitivity, Andreatta showed to be also a life lovers, a lover of luxury car, elegant dresses and of the beautiful women, charateristic which distinguesh himself also during his term as President of the Republic (4268-4270). He approached LP at the time of the University, when was convinced by the program of the party in favor of the protection of the workers rights and after reached to be the National Spokeperson of the LP Student wing, he began his political career first acting in the Romula's Party activity, where for two term he was elected as member of the city council, while in 4253 he was elected into the Chamber of Deputies entering definitively in the inner circle of the party. Despite his experience in Labour rights, initially he showed great interests for the international affairs, especially the fight against the crimes against humanity and the violation of democratic values and for this reason Andreatta became member of the party international commitee where approached the future Foreign Minister Ciro Esposito who then chosen Andreatta as the main colaborator making enter him into the Government as Undersecretary of the Foreign Ministry. However, soon the "first love" of Andreatta retook over deciding to put at the service of the Ministry of Justice Ortali his experience, being chosen as Undersecretary for the Labour Justice. It was just right his committment and experience in this field that convinced Malik Astori to propose Andreatta as LP and progressive candidate for the election 4267, won by Erardo Pula (Capitalist Confederation), and for the ones of 4268: this time Andreatta gained the Presidency. During his Presidency it worked first of all with the Government to reintroduce the Social Security then became active into the international stage. Just about the foreign relations of Istalia, he was heavily criticized for what seemed an intimate relationship with Augusta Maxima, pontesian opposition's leadership in exile in Istalia, and therefore for his discussed private life which gave a lot of material for the istalian and international tabloids. After his first Presidency he became the most important opponent of Istalian Alternative and its policy to contrast the emergency of the refugees from north-western Majatra, promoting an open stance in favor of solidarity and protection of the persecuted. Born in 4233 in Castiglione di Padua, in Trivendito, from a middle-class family, after compulsory school he enrolled at the University of Padua to attend the Political Science courses, specializing in International Relations. At university, he joins the Progressive Student Association, where he does not take an active role and move away from politics once graduated. In fact, he focused himself to the diplomatic career by entering the Foreign Ministry following a regular public competition and then departing after a few years to Valruzia as assistant to the ambassador. Until 4261 he was sent to various countries by assuming in the late 1950s the consulate position in Laurenne and Egelion. In 4261 he was appointed Ambassador in Jakania and then in Solentia where he worked to bring the country closer to Istalia. In 4265, returning from Solentia, he was approached by Liberty and Progress due to the diplomatic experience accumulated in view of replacing the expert but aged Ciro Esposito. Elected to the Chamber already in 4267, shortly before the early election in 4268 Malik Astori appointed him as LP candidate at the Ministry of Foreign Affairs, and was then nominated to serve under the cabinet Nacon I. In collaboration with Adriano Andreatta at the Presidency, he was one of the country's new foreign policy makers, who was definitely more discreet and wary because of the serious break with the World Congress. This, however, does not prevent del Grillo from lead the re-entering of Pontesia into the Majatran Alliance and the establishment of new important relationships. In 4284 Andreatta announces his withdrawal and del Grillo, now a major member into the party, gathered around himself the Social Liberals to counter Yasser Farhan, exponent of the Liberals and also Minister of Defense. The crisis triggered by the Independentists of Padagna, however, makes change the fronts opposed into the primaries, and the members are therefore divided between moderate and intransigent on the Padagnan issue. Del Grillo becomes the moderate leader while the intransigents are all together behind Alessandro Eugenio di Nacosia-Rohan, a former member of Istalian Alternative joining only recently the LiberalProgressives. Del Grillo manages to gain the primaries but with a minimum margin, so he has to seriously come to terms with Nacosia-Rohan, now becoming a charismatic voice within the party: Grillo reaffirms his trust in President Aham and in dialogue with secessionists but stresses that LP will not accept solutions that could put the Unity of the nation at risk. Despite the victory of the primaries, di Nacosia-Rohan became the real soul of an LP which was shifting drastially to the left. Del Grillo was heavily affected by the disappointment of LP for the President Aham, which tried to propose a referendum on the federalization of the nation. After the defeat of Aham in 4287 presidential run and the debacle experienced by his party, del Grillo established a deal with the new elected President Maddaloni (Capitalist Confederation) to work on an autonomous status of Padagna to be approved by a referendum during the next elections. During thi term however, the party became aven more distant from its Secretary following di Nacosia-Rohan and his right hand, Stefano Romulani: during the 4291 Presidential run, di Nacosia-Rohan, proposing himself against the advice of del Grillo as the president of a new more leftist Istalia, was defeated and the party experienced the major loss of the legislature. After the election del Grillo finally resigned leaving also the party in contrast with di Nacosia-Rohan and its social democratic entourage. Son of Francesco Vittorio di Nacosia-Rohan, wealthy landlords and businessmen, he descends from the ancient kings of the Istalian Kingdom on the Island of Alaria (see: http://particracy.wikia.com/wiki/Kingdom_of_Istalia). Growing in Alaria, in the family estate near Palerno, he approached the politics after his university economic degree, becoming a member of Istalian Alternative (see: http://classic.particracy.net/viewparty.php?partyid=30563) staying among the ranks of AI for almost ten years, attracted mainly by the charism of former President Rosso (see: http://particracy.wikia.com/wiki/Gianluigi_Rosso). He was elected as one of Istalia's youngest municipal councilors (precisely in Palerno) and remained in the AI ​​ranks until the of Padagnan Nationalist turning point of the 80's, leading before the Palernian section of AI but then abandoing it due to the fall of Ricollo and considering Liberty and Progress a better platform, especially attracted, as said, from the front of the intransigents. Di Nacosia-Rohan inside Liberty and Progress immediately became one of the most important exponents of a nationalist and unitary line to which he merged, thanks to the closeness with the openly socialdemcoratic Stefano Romulani, strong Social Liberal and Social Democratic economic principles. When Adriano Andreatta announced his intention to resign, the expected successor was Francesco Del Grillo, leader of the Social Liberals, and which had to easily defeat the Liberals exponent, the Minister of Defense Farhan. The Padagnan indipendentist crisis however, changed drastically the basis of the internal opposed ideologic positions from a "fight" between Social Liberals and Liberals to one between Moderate-proa-utonomists and intransigent-unitarists. Del Grillo managed to gain the primaries against di Nacosia-Rohan, but just for few votes, allowing to the nobleman to became the second most important party member, at the head of an even more intransigent factions and, thanks to the cooperation with Stefano Romulani, also the promoter of a more social democratic economic policies. While Del Grillo in the last years of Secretariat day by day was losing his authoritative role, di Nacosia-Rohan was taking even more space and just before the 4292 elections, during which he was the Presidential candidate, he became the de facto leader of Liberty and Progress. After the disappointing electoral results Del Grillo decided to leave the party, drammatically in contrast with the new soul of the LiberalProgressives, and this paved the way to di Nacosia-Rohan which during the subsequent party primary managed to win with more than 70% of the votes and to see elected a National Directory filled with social liberal and social democrats and coordinated by the trusted Romulani who became the most irreverent and fiery voice of the party while di Nacosia-Rohan showed an even more assertive and institutional-like distinctive-looking. Under di Nacosia-Rohan, Liberty and Progress come back essentially to the veritable origins of the party when it was the PSLI, claiming to follow the path of the founder Alessandro Senna, leaving the third way economic position to come back to an approach far more social democratic. The fierce opposition to the center-right government of the 4292-4295 legislature, with the numberous proposals presented by LP, showed clearly the new social democratic path taken by the party. The new route rewarded LP which in 4295 became the largest party and di Nacosia-Rohan was elected President of the Republic. He asked to his right hand, Stefano Romulani, to form a center-left minority government supported externally by the Istalian Hosian Democrats with the objective, achieved at the end of the legislature, to reintroduce a minimal but universal welfare system. At the end of his Presidency Istalia was touched by the Wolfshein Bacteria Infection, a dovanian pandemic which spread through the world at the end and the beginning of the 43rd and 44th centuries. He was remember for his role in fighting the disease, first as President and then as President of the Council. In fact, after the 4299 election to the Presidency of the Capitalist Confederation's candidate Naazim el-Arafat, di Nacosia-Rohan to oppose the President's aim to reppeal the emergency measures, considered too extreme, was able to gather together all the parties but CC to form a National Unity Government which fought effectively the disease reducing the infection rates and then organizing the national vaccination to give the cure discovered in 4303 to all the istalian citizens, objective reached during the 4303-4307 legislature. Di Nacosia-Rohan led the party until the election 4307 when, after having failed for two times to be re-elected to the Presidency against Naazim el-Arafat, endorsed his right hand Stefano Romulani as Presidential candidate of LP and then, after the landslide victory of the Party into the legislative, decided to resign from the position of National Secretary calling the National Congress which, without surprises, chose Romulani as his successor. Born in Nepuli on the outskirts of Nepuli in a proletarian neighborhood, since the years of the high school he approached the politics with the ideals to improve the conditions of many workers like his father and so to improve the social and economic conditions of places like his neighborhood and of its inhabitants. Romulani committed himself on the study in order to get a scholarship which he achieved and which allowed him to move in Milona and attend the courses at the High School of Economy of Milona. At the University he definitively join the student wing of LP which during the last two decades of the 43rd was shifting on more leftist positions criticizing the excessive liberist society in the Country asking for a new central role for the State to assist the citizens. After a Bachelor's degree and a Doctoral degree in Economic policy, achieved two years in advantage, he full committed itself into the Party being elected at the 4283 elections. In less than two years, thanks to his strong dialectic and got even more closer to the new party's star, Alessandro Eugenio di Nacosia-Rohan, he became in 4285 the Whip of the Party in Chamber. Romulani is considered to be one of the major players responsible for the radical shift to leftist positions of LP, defining himself as a moderate Social Democrat pushing for a large and well founded welfare state but with a limited active intervention of the State in the economy preferring instead the introduction of regulatory policies to protect workers and customers. During his years as Whip, he distinguished himself to be the sharpest tongues of the oppotions of the center-rights governments (4288 and 4292) led by Dagoberto Vigilante, denouncing the demolition of the welfare state in Istalia, which reinstallement became the main objective of the center-left government led by Romulani since 4196, a minority government as cabinet of the then President of the Republic di Nacosia-Rohan externaly supported by the Hosian Democrats thanks to whom was granted again to the Istalians a minimal welfare system. He remained the candidate Prime Minister of LP until the 4307 elections when di Nacosia-Rohan endorsed Romulani as Presidential candidate: Romulani was defeated alone at the second turn only thanks to the join forces of PNI and two other center-right parties, but LP gained a landslide victory seizing 203 seats, 83 more than PNI, the second largest party. Just after the elections di Nacosia-Rohan announced his decision to resign from the National Secretariat calling for primaries which, organized in only two months, elected a Congress fully in support of the promising Romulani, the first Secretary since the days of Emanuele Paolelli to have socialist positions (namely social democratic). Thanks to the large advantage of his party, Romulani was immediatly contacted by the President Votta to form a Government also if the Head of State, as leader of PNI, proposed him a Grand Coalition which Romulani accepted to form: so, in 4309 the new leader of LP inaugurated his second Cabinet. Romulani, leading Great Coalition with PNI and then with DHI, which entered in the third Romulani's Cabinet . After having leading the country in tandem with Votta, with the ever prominent shift of the Demohosians toward more social position and with the emergence of a new Socialist Party, in 4316 Romulani proposed himself as champion of the center-left to challenge the outgoing President Votta: Romulani gained leaving the Presidency of the Council to his Deputy HoG. As President he led the Nation in the total victory of the war against Hulstria but internally he had to form a Government with ULD and PSI, a Government seen by many as a mere caretaker formed just to overcome the political stalemate (left-wing president and a slight advantage for the rightist party which however were divided between conservatives and liberals). During this term the long efforts of Romulani to improve the social assistance and services for Istalian began to pay off thanks to the ever closer cooperation with DHI and to the support of the Socialist. Romulani gained also the 4320 elections, thanks to the confirmed support of DHI and PSI: DHI and LP, respectively first and second largest parties, thanks to the entering in Parliament of the Right's National Party, despite the dissolution of PSI, disappointed by the poor electoral results, they have been able to introduced important reforms: tax reforms (increase in sales tax, corporation tax and for the highest brackets of the income tax), Universal health care services and Infrastructure reforms to increase the presence of the State, foundamental reforms to make emerge Istalia from a century of liberist and highly capitalist policies which, as denunced by many parties in the end of the 43rd century, had generated important and excessive social-economic contrasts and disparities. Son of Alessandro di Nacosia-Rohan, after graduated in Political Science he followed the path of his father entering in Liberty and Progress where he joined the libertarian socialist wing, bringing with him the businessman Riccardo Morelli, a lifelong friend. Supporting the shift impressed by his father and consolidated by Stefano Romulani, also Francesco became a strong promoter of a State-interventionist social policy but also he adopted extreme liberatarian positions on the side of the civil rights, pressed especially by Morelli with which Francesco quickly reached to led the libertarian members of the party. Due to the blow that the party experienced during the 4326 election, the primaries called by Stefano Romulani announcing his retirement from the politics saw the mass rejection of the "old guard" led by the right hand of Romulani, the former Prime Minister Aisha Menchi, and the surprising victory of di Nacosia-Rohan. Despite this, Aisha Menchi and several other members of the old leadership continued to maintain several important positions into the National Directory generating some contrasts and internal conflict due to the libertarian positions of the new National Secretary and of his right hand, Morelli, which was criticized also for his style of life. However, Francesco di Nacosia-Rohan was able to silence the internal opposition thanks to its committment for the establishment of a party coalition with the other economic leftist forces, first of all DHI, with which Liberty and Progress founded the Coalition Altra Istalia (luthorian: Another Istalia) which at its first contested elections (4334) failed to gain the majority for just 5 seats. During his first years at the head of LP di Nacosia-Rohan find himself involved into a diatriba with the leader of Monarchical Party Caesar Antonio Zappeli, self-proclaimed candidate to the throne of Istalia, about the rights of Zappeli and di Nacosia-Rohan to be crowned in case of a monarchical reforms, however, considered as a remote possibility by di Nacosia-Rohan himself and which mainly criticized the trivial motivation of Zappeli for his candidature. After few years the Secretary, instead, found himself defending the party by the attack of Coalition of the Future and the Union of Liberal Democrats, hyperliberals party which accused Liberty and Progress of communism and with which the party clashed on all the economic issues, criticizing them in turn for the attempts to undermine the social security of the nation. 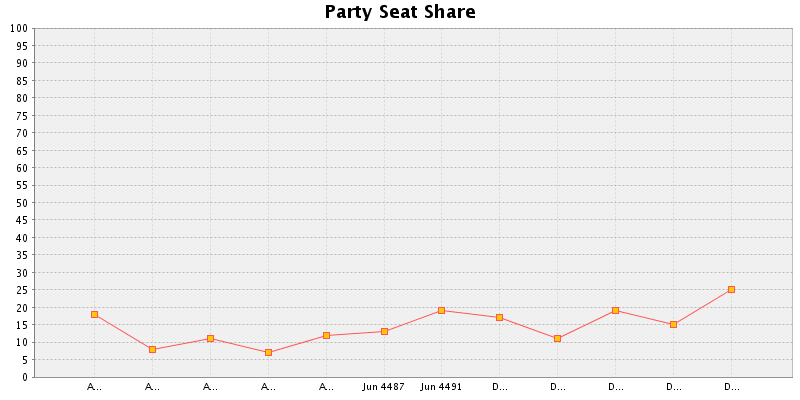 In 4338 the Communist Party gained the elections with a consistent plurality which pushed Altra Istalia to form with them a center-left Government. Despite the broad reforms introduced by this Government, the leadership of di Nacosia-Rohan suffered for the poor electoral results and also he was criticized by the liberal wing of the party for the excessive support for the communist agenda. After the election 4342, with the victory of the rightist parties, DHI decided to enter into a center-right Government together with PNI and ULD. All the other members of Altra Istalia, the Populars first of all, expressed their dismay demanded that DHI leaves Altra Istalia, but di Nacosia-Rohan pushed for a more conciliatory stance. Despite this pushed DHI to ensure to the allies that it would be working to defend the most important reforms of the previous Government, di Nacosia-Rohan leadership was heavily criticized by the National Directory and by the supporters of the Party which wanted a more resolute stance before DHI. For this reason, in 4342, nothing the internal situation of the party, the Secretary decided to resign: the National Directory called for an extraordinary National Congress to vest an interim Secretary, postponing the primaries to the end of the term. The successor of di Nacosia-Rohan was Sultan Karamanli, former Minister of Defence. Born in Vinesia in 4279, Karamanli, descendant of Jakanian migrants, started his political carrier after his service into the Armed Forces. Entering the Army Accademy of Bescara in 4298, he studied also to graduate in International Relations and after the Accademy he began his carrier into the Intelligence services of the Republic. First into the Army Intelligence services but soon he was assigned to the AISER, the AISER. During his years of services he was approached by several politicians of LP and PNI, especially under the presidencies of Demetrio Votta who, just before the election of Stefano Romulani, recommended Karamanli to be the appointed as new Private Secretary of the President for the National Security. During his service as Private Secretary of Romulani, he approached even more Liberty and Progress, influenced and attracted by the social policies promoted by Romulani. In 4326, just before the elections, Romulani pushed Karamanli to candidate himself among the ranks of Liberty and Progress: he was elected entering for the first time into the Parliament going to be appointed as LP main exponent into the COPACISN due to his experience. At the same time, due to his support for di Nacosia-Rohan against the former supporters of Romulani, first of all Aisha Menchi, he was able to increase his influence into the party entering into the National Directory as party responsible for the defence and security affairs. During his years into the Directory Karamanli increased furthermore his influence becoming one of the major supporters of the idea about the coalition Another Istalia and then strongly criticizing DHI for its decision to cooperate with the rightist party. For the first time Karamanli clashed with the official leadership but this time he had the Directory with him. When di Nacosia-Rohan resigned, the Directory, decided to postpone the primaries, vested Karamanli as possible interim Secretary, decision followed by the extraordinary National Congress called to appoint the provisional successor of di Nacosia-Rohan. As new Secretary, although ad interim, Karamanli pushed to united even more the leftist members of Another Istalia taking an harsher stance toward DHI. Karamanli, as declared by some source within the party, aimed to be confirmed during the primaries expected after the elections of 4346, but due to the fall of support which has relegated the party to the last position into the Parliament, he decided to resign. Together with him also most part of the members of the National Directory resigned from any role into the Party which, without leadership, was going to the next extraordinary Congress with uncertainty and dubt about the future of the party. This is the voting[?] record of the Alleanza Radicale - NCD. Random fact: It is possible for players in a Culturally Open nation to establish a Cultural Protocol if doing so would not reduce the overall number of Culturally Open nations below 10. The Cultural Protocol bill must be passed by a 2/3rds majority of all players with seats (not just those with seats who vote), and at least 2 players with seats must support the motion, both of whom must have been currently continuously active in the nation (ie. no inactivations) for at least 1 month.